Kitman TV: Not Evil Just Wrong - Complete Documentary! 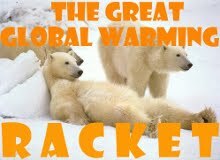 counter-revolutionary film, Great Global Warming Racket » Not Evil Just Wrong - Complete Documentary! Not Evil Just Wrong - Complete Documentary! Absolutely brilliant documentary on the global warming hoax! After Greenpeace Founder Patrick Moore came out on FOX news the other day, once again declaring global warming a hoax (embedded below) one has to ask oneself "What more do you need?". Why isn´t this blantant climate-lie being reported on every single news-outlet? -Sabotage and international oversight of new technologies through constant demands of "environmental testings"
When looking at above consequences I honestly cannot say, that I wholly agree with the title of this brilliant film. There is surely a a kind of method to this madness, Namely the interest of the international left and the soviets. There is, as Milton Friedman often said, the curious construction of "do-gooders in the front and special interest in the back". Now, the do-gooders in the front might be "not evil, just wrong" - but certainly the special interest in the back is "Not wrong, just evil!"